If only there was something to type in this box to make the deep hurt go away. My heart goes out you. May you find peace. Thanks for your kind words:) and for visiting my blog. You are welcome any time again. This is heartbreaking. I am so glad to have found your blog. Thanks for leave a comment in my blog. Wish I could write about a happy life,but now one choose their parents so I draw the shortest straw, I am afraid. khara i feel for you. i was adopted to the US and had a hard, unimaginable childhood. I too, was an indentured servant for the family and heard how much i cost on a weekly basis. (my adoptive father would joke that if i don’t do a good enough job they would fire me.) everything you wrote, i have felt. i was sent to america with wrong paperwork. when i lived in korea to study korean i did a birth search and proved my documents were falsified because i did dna tests with the family on my documents. i am still looking. hoping. wishing. waiting. to meet my relatives. 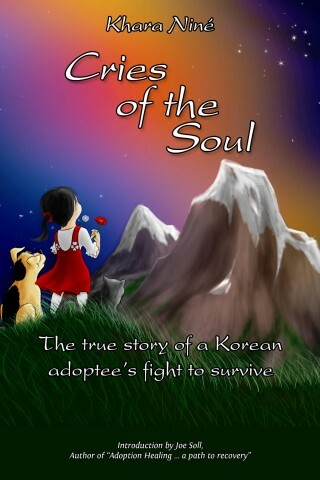 there are korean families looking for their lost ones sent abroad and i hope one day we will be reunited. thank you for your blog. I am so sorry we are two of maybe thousands out there,with lots of traumas from our childhood. I was so moved when I read your comment. Hope you have found your luck in life,hope you will find your family soon in Korea.God bless you. Could we link to each others blogs? I would love to read yours too. When you live in ignorance it’s easy to think that everyone (or no one) has had the same type of experiences as you had…reading your blog I am reminded that sometimes ignorance is bliss! My adoption experience is very different then the one you had. And, my hearts cries for you and your Korean family! I can only say how SORRY I am for the hurt you have suffered at the hands of so-called-parents…As a parent myself I take this very personally. All children MUST be loved, cared for, taught, respected, and guided. Your suffering reflects badly on every parent. May the hurt you carry (and write about)begin to manifest into something you draw energy and power from. May your relationship with your biological sister draw out the poison of hurtful words, abuse, pain, and sadness and fill you with hope, love, warmth, and excitement! Thanks for all kind words and for reading my blog:) I decided to try to change the world in this small way. To raise the knowledge in the world about adoption issues:) Welcome back. familiarity, thus it’s fastidious to read this weblog, and I used to visit this web site everyday. I am so sorry for you. I hope that you can find happiness now for the rest of your life. How can people be so evil to a small child???? Thanks for your time and response in here 🙂 Psycophats are one special group on Earth, because they got no Emphaty, they can do things, normal people dont do. You will find more on google on this subject. Welcome back..